Anna and Wendy discuss episode 24 of Chronologically LOST, Episode 024 – September 19-21 2004, featuring Boone and Shannon, Nikki and Paolo, Eko, Jack, Charlie, Sayid, and Michael finishing their business in Australia; Locke, Kate, and Claire taking unexpected detours from their plans; and Juliet discovering some troubling news about Ben’s health. Podcast length 1 hr 17 min. Anna and Wendy discuss episode 23 of Chronologically LOST, Episode 023 – September 2004, featuring Hurley, Michael, Locke, and Boone making plans for travel to Australia; Claire and Eko making plans for travel to the US; and Ana Lucia, Christian Shephard, Sawyer, Jack, Sayid, Rose, and Bernard taking care of business in Sydney and the Australian outback. Podcast length 1 hr 27 min. Anna and Wendy discuss episode 22 of Chronologically LOST, Episode 022 – 2004, featuring Claire’s return visit to the psychic and his repeated phone calls to her, the Sun-Jin-Jae Lee triangle of doom, Hurley visiting Lenny about the numbers, the death of Tricia Tanaka, Sayid getting recruited to take down a terrorist cell in exchange for information on Nadia’s whereabouts, Sun planning to leave Jin, Sawyer’s hotel-room confrontation with Hibbs, and Hurley’s visit to a psychic courtesy of his dad. Podcast length 1 hr 16 min. 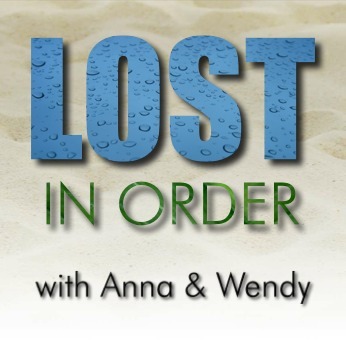 Anna and Wendy discuss episode 21 of Chronologically LOST, Episode 021 – 2004, featuring Jin’s promotion into doing Mr Paik’s dirty business and subsequent strained relationship with Sun, Jack’s obsession with Sarah’s new guy, a couple more time flashes, Hurley’s bad luck spree, Bernard proposing to Rose, Inman almost demonstrating the use of the fail safe key, Kate in Australia on Ray’s farm, Claire and Thomas breaking up, and Jack sharing the truth about Christian operating under the influence. Podcast length 1 hr 29 min. Anna and Wendy discuss episode 20 of Chronologically LOST, Episode 020 – 2003-2004, featuring Jack in Pukhet, Ana Lucia’s return to active duty with the LAPD, the S5 time flash where Jin reunites with the group, Rose and Bernard meeting, pregnant Claire talking to her boyfriend and visiting the psychic, Jack wanting to know the name of Sarah’s new guy, and Hurley winning the lottery and going on one last hurrah with Johnny. Podcast length 1 hr 25 min.